Nowadays every band has some kind of synth influence to them. The problem with this is that too many of said bands overuse this element of manipulation. 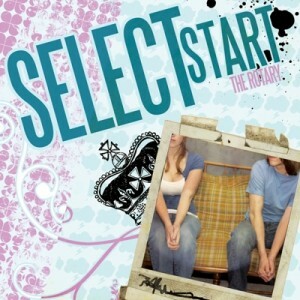 Select Start however has found a way to structure their sound around that tool, not the other way around. First we’re hit with the hopeful “Sweet Digital and True,” encapsulating the beginnings of a new relationship. “There’s One In Every City” is a quick retelling of a he-said-she-said between guys who live out of suitcases and the girls left behind in small towns with even smaller ambitions. Self-doubt, strain of long distances, and uncertainty of a new relationship are found in the guitar heavy “Unlimited Nights and Weekends” with lines like Was it a good time to screw it up / My heart gets bruised just from the sound of your voice on my receiver. “Baby, You Amaze Me,” the slow jam of the disc is honest, and appreciative and not in a sappy way at all saying You can’t stand the same movies / And horrible bands / Why would I ever hold hands with another. “Keep it Close” is another lament of long distance, told differently, which is good sighing I wish my phone could make you warm / Express my best so softly in a text / One word at a time. Something to keep you company while away from the one you love.